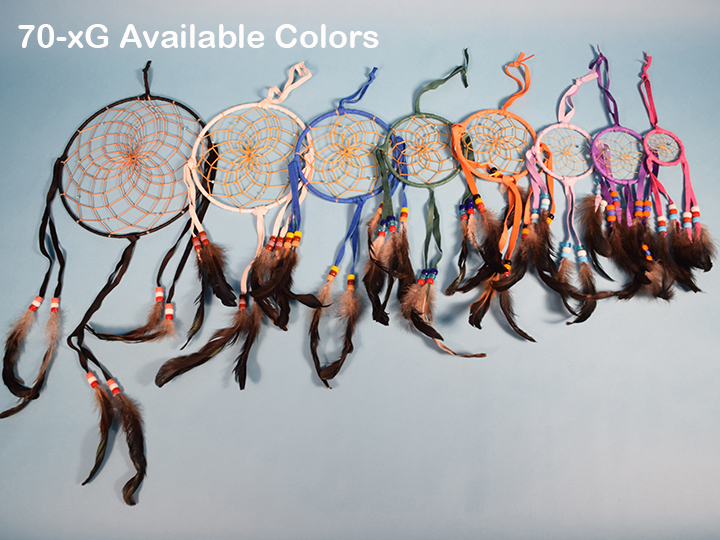 These dreamcatchers are made by Navajo artisans in New Mexico and come with a Certificate of Authenticity. 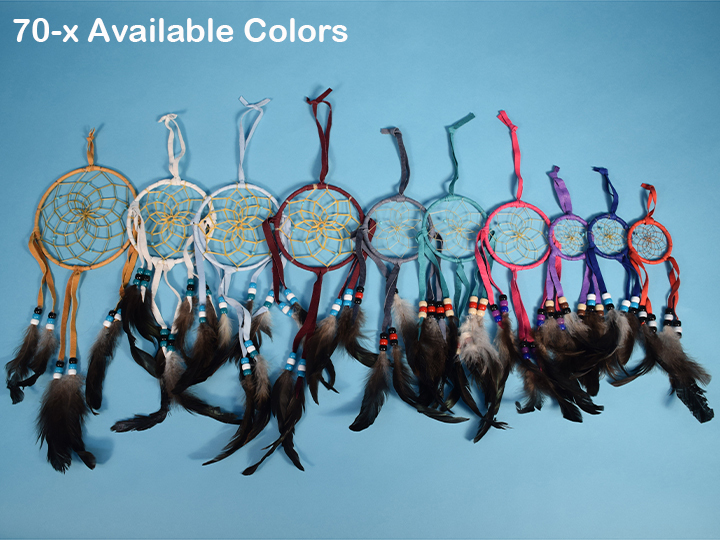 They are made using pig leather and 3-6" chicken feathers. 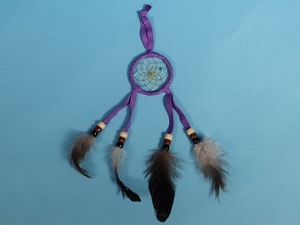 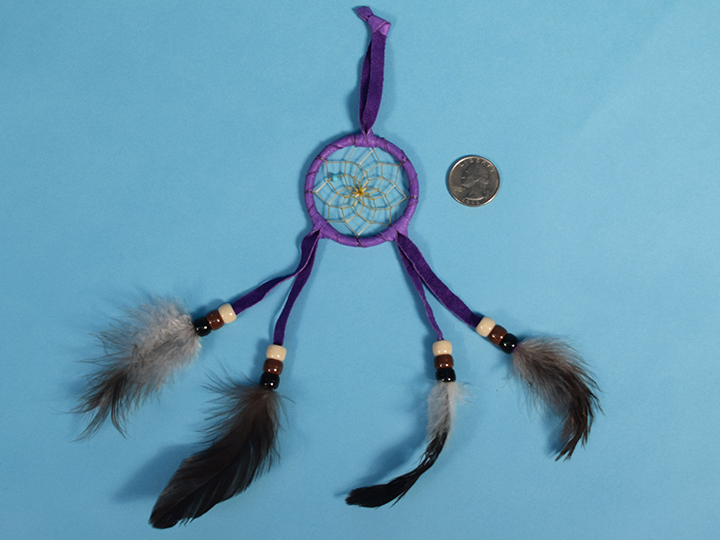 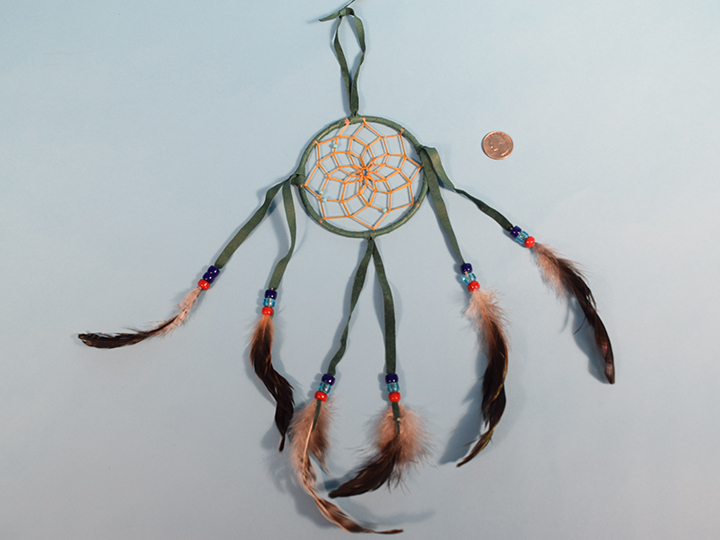 The fancy dream catchers are made using pig leather and turkey feathers. 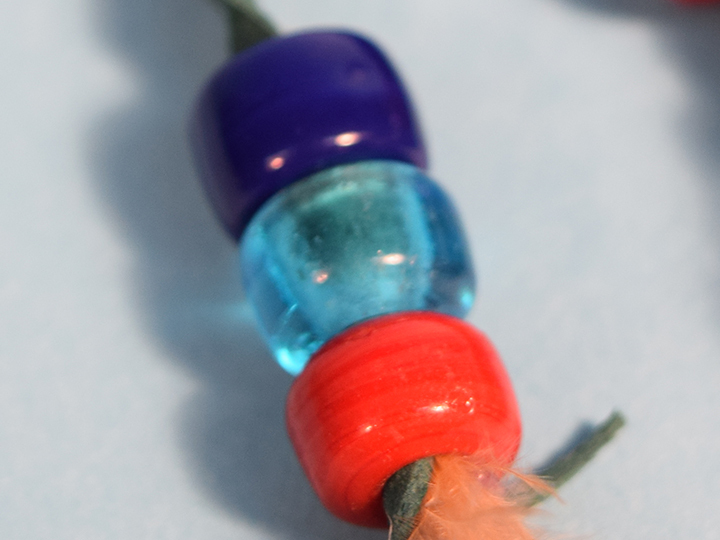 The beads are either plastic or glass, as indicated below. 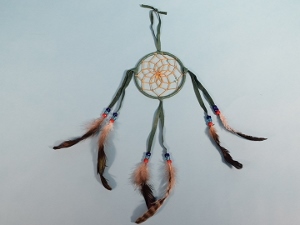 See samples of assorted colors available for plastic bead dreamcatchers and glass bead dreamcatchers.